American Idol has introduced us to some amazing – and some not so amazing – vocal talent over the years. 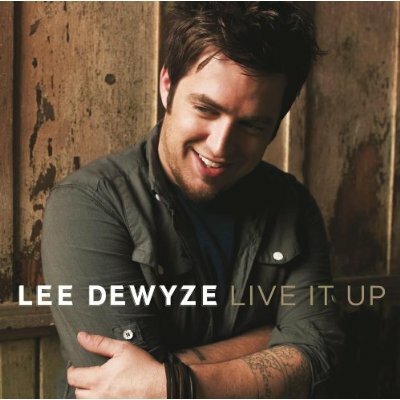 Lee Dewyze, the current American Idol, has a great raw voice and is a talented multi-instrumentalist, but the production on his latest CD, Live It Up is polished so slick that you could slip just by listening to this while walking. It clashes with his voice at nearly every turn. DeWyze would be better suited to record an album live with minimal production. The genre of music is a little off-putting also. Most of the songs carry kind of a poppy John Mayer type sound. I personally think DeWyze’s voice would be better suited for a rawer, more soulful, New Orleans/Delta Blues type album. If he went the musical direction of someone like Marc Broussard instead of John Mayer I think he could turn out some great music. As far as this album goes the production takes away from the impact of his voice. If you like John Mayer’s slow stuff, you’ll like this album. “Earth Stood Still” is a promising song but it’s overproduced to near death. I can’t really recommend much of this album because it sticks DeWyze in the wrong genre and I think it pretty much neuters his vocals. He’s capable of more and I’m sure he knows it. Written by: Chris Senn on 01/16/2011. This entry was tagged American Idol, Lee Dewyze, Review by Chris Senn. Bookmark the permalink.